aviosupport has supported the aerospace industry for more than 35 years distributing commercial aircraft spare parts worldwide. We tailor our approach to match the specific needs of airline operators and maintenance facilities through prompt and accurate responses to inquiries. We provide a consistent and reliable flow of product to an industry totally focused and dependent on its "AOG" (Aircraft on the Ground) and "Expedite" requirements. 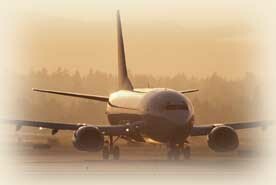 aviosupport is committed to the ultimate goal of providing quality products in a timely manner. This goal is realized through our employees' dedication to support the individual requirements of each customer. We continuously look for methods to improve our operations with the intent of passing along cost savings to our customers without effecting the integrity of our product lines.